5) Snuggie Blankie. I never used to be a kitty who loved blankies, but now that I'm older I find myself getting chilly easier. 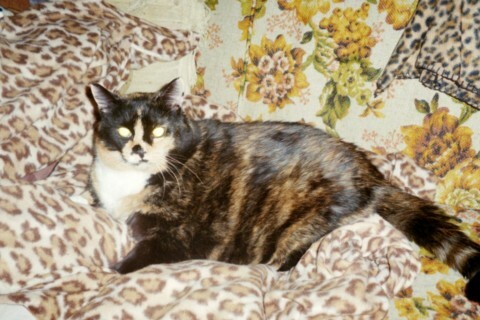 Mommy and I have spent the last 2 winters cuddled up in this super fashionable Snuggie...weren't my tortie colors just made for animal print??? 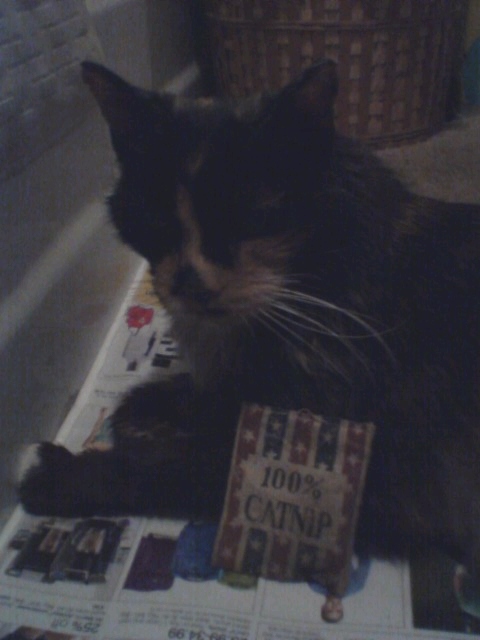 4) Tattered Old Catnip Bag. This is one of the first toys Mommy ever bought me. She thinks she bought it at the Cat Fanciers' Association cat show one year because she's never been able to find another one. I hold it between my paws and lick and lick it...the catnip scent has never faded. Mommy has even had to stitch up the ends a couple times after I bit a hole in it, and one awful night I even puked on it!!! Mommy saved the day by immediately rinsing it out and letting it air dry in the window, even before she cleaned up the carpet! 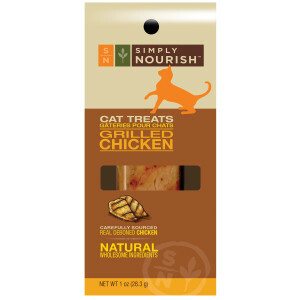 2) Simply Nourish Grilled Chicken Cat Treats. I adore freeze dried chicken and these are my favorites, sold only at Petsmart. I'm pretty much gumming it these days and many freeze dried treats are too hard to break up. Mommy can crush these up really easy and spread them on top of my food as sprinkles when I'm being fussy. 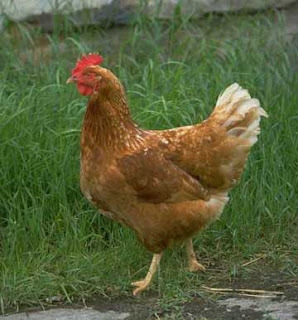 1) Chicken. Mommy says I love chicken so much she wouldn't be surprised if one day she woke up to find me clucking instead of meowing. 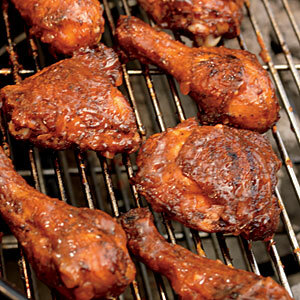 Baked, boiled, rotisserie...I'm not picky, I love chicken any way it's prepared. But my favorite...don't tell the vet...barbequed. Purr. That is an excellent Top 5 list, Tara! We think old nip toys are the best...and as for chicken...well, when it comes to foods, there's nothing better!